Join the film society Selected films are subject to change. The Film Society FAQs. Eli Sister (John C. Reilly) and Charlie Sister (Joaquin Pheonix) are notorious hitmen who travel from town to town, murdering for profit. Feared throughout the Wild West for their ruthlessness, their next bounty could be the most profitable of them all... 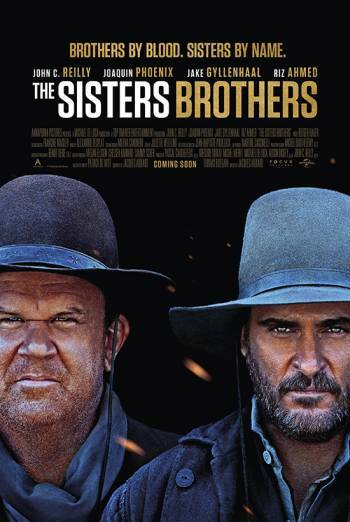 The Sisters Brothers is an action-packed Western, sure to entertain. With a youth built upon love, friendship, and pain, J.R.R. Tolkien learns that escaping into fantasy worlds can make reality so much more bearable. 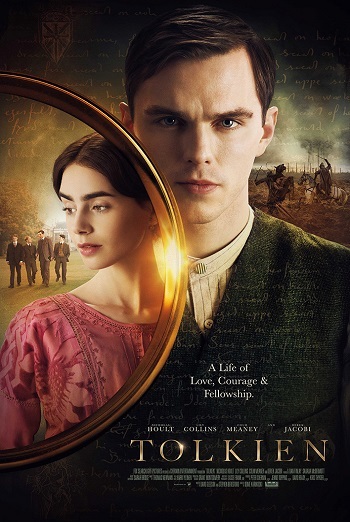 This biographical drama stars Nicholas Hoult, Lily Collins, Mimi Keene, and Craig Roberts and follows the life of the great Lord of the Rings author in the years before he created one of the best-selling novel series ever written. Since his youth, Tolkien (Nicholas Hoult) has always found it difficult making friends. Orphaned as a child, he’s never known a normal life. However, when he’s invited by a classmate, Christopher Wiseman (Tom Glynn-Carney), to join his group of fellow outcasts, things start to look up for Tolkien. As he spends more time with Christopher and his friends, he finally begins to learn what true fellowship looks like. With this newfound security comes creativity, and Tolkien begins to express his artistic imagination through language. Growing in confidence, he meets the gorgeous Edith Bratt (Lily Collins), who teaches him to love and becomes the inspiration behind much of his work. But in 1914, war suddenly takes him to the battlefields of Europe, and Tolkien faces losing everything – lifelong friends and the woman he adores – to the horrors of the Western Front. This biographical drama follows the true story behind the great literary mind, as he transforms his experiences of friendship, love, and suffering into one of the most celebrated series of books the world has ever seen. Nicholas Hoult (The Favourite, Mad Max: Fury Road,Warm Bodies ), Lily Collins (Love, Rosie, To The Bone), Mimi Keene (East Enders), Tom Glynn-Carney (Dunkirk) and Craig Roberts (The Fundamentals of Caring) star in this biopic, which explores how Tolkien’s formative years became the basis of his creative genius. 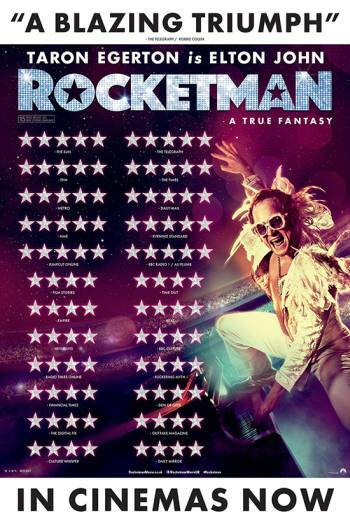 Based on a true fantasy, Rocketman showcases the formative years of Elton John’s musical career, featuring all the excess and glamour the star is known and loved for. Starring Bryce Dallas Howard, Taron Egerton, and Richard Madden, enjoy every minute as you jump into the glitzy tale of the rise of one of Britain’s most iconic music-men. Emerging onto the musical scene as a promising talent at the Royal Academy of Music, Elton John (Taron Egerton) is keen to make his mark. When he’s spotted by music manager John Reid (Richard Madden), he feels ready to hit the dizzy heights of stardom. His whole life has been working towards this: the stage, the glamour, the music. However, Elton doesn’t quite realise just how different things will be now – and it’s too late to ever go back. As his status begins to rise, Elton parties hard, abuses alcohol, and begins to question his own sexuality, all amid a straining relationship with his mother (Bryce Dallas Howard). There are moments in a rock star’s life that define who he is – and with his formative years sculpting his future, Elton John needs to decide who he wants to be. Bryce Dallas Howard (Jurassic World: Fallen Kingdom), Taron Egerton (Robin Hood) and Richard Madden (Bodyguard) star in this no-nonsense musical fantasy that explores the uncensored story of the musical maestro’s breakthrough years, brought to us by BAFTA-nominated producer Dexter Fletcher, who worked on the hit music drama Bohemian Rhapsody. Jack is a failing singer who is about to give up on his dream of becoming a star. But when a strange phenomenon wipes one of the greatest bands of all time from everyone but Jack’s memory, he decides to claim their songs as his own… Lily James, Ana De Armas, and Himesh Patel star in this musical comedy featuring many of the Beatles’ greatest songs. Struggling singer Jack Malik (Himesh Patel) has an incredible voice, but every gig he plays at is a flop. After his latest failed set, he’s considering giving up on his dream. But Ellie (Lily James) still has faith in him – she’s convinced that to achieve success, he just needs a stroke of luck. After being hit by a bus during a worldwide blackout, Jack awakes in a hospital bed. And his life is set to take a dramatic turn. Lily James (Mamma Mia! 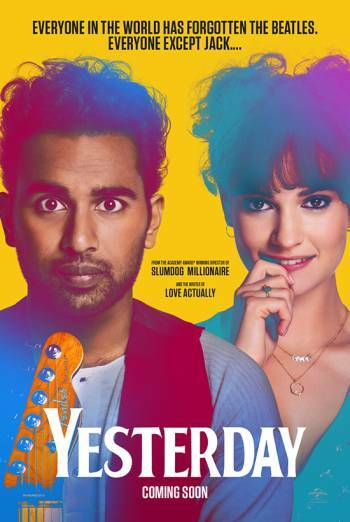 Here We Go Again, Baby Driver, Cinderella), Ana De Armas (Blade Runner 2049, Hands of Stone, Overdrive), and Himesh Patel (Damned, Eastenders) star in this musical comedy that features a selection of the Beatles’ all-time classics, brought to us by Oscar-winning director Danny Boyle (T2: Trainspotting, Slumdog Millionaire, The Beach). Actor Rick Dalton and his stunt double Cliff Booth head to Hollywood to try and make a name for themselves. But the last thing they expect is a grisly murder on their doorstep… Starring Margot Robbie, Brad Pitt, and Leonardo DiCaprio, director Quentin Tarantino returns for his 9th film to explore late 1960s Hollywood. Washed up Western actor, Rick Dalton (Leonardo DiCaprio), has returned to Hollywood with his long-time stunt double, Cliff Booth (Brad Pitt), after years away from the town. Looking for a big movie break to relaunch their careers, the place is now a hippie haven and the pair are struggling to get back onto their feet. After difficulties finding work in a town they don’t recognise anymore, Dalton and Booth feel their luck has changed when they discover who their new famous neighbour is – Hollywood actress Sharon Tate (Margot Robbie). Quentin Tarantino (Pulp Fiction, The Hateful Eight) brings us his 9th film and his first to be based on true events. This feature takes a look at a changing Hollywood in the late 60s which led to the gruesome Tate murders that rocked the world. 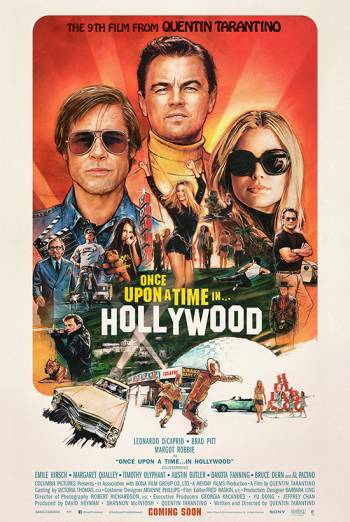 Once Upon a Time in Hollywood is written in true Tarantino style, weaving multiple storylines and offering humour, drama, and thrills, with an all-star cast including Margot Robbie (Mary Queen of Scots), Brad Pitt (Inglorious Basterds, The Big Short) and Leonardi DiCaprio (The Revenant, Django Unchained). This checkout is secure and fully PCI Certified allowing you to pay for your order using a debit or credit card with complete confidence. It looks like you've already got the maximum number of Film Society memberships currently available.